Is a Tomato a Vegetable or a Fruit? © 2014 David Q. Cavagnaro/Getty Images, licensed to About.com, Inc.
Tomato is the nation's fourth most popular fresh-market vegetable behind potatoes, lettuce, and onions. But, technically, it's actually a fruit. Fruit bear seeds and develop from the ovary of a flowering plant, whereas vegetables are edible plant parts from everything but the flower of a plant, such as roots, leaves, and stems. The tomato is a fruit botanically speaking and can be further classified as a berry since it is pulpy and has edible seeds. However, most of us use the tomato as we do vegetables, primarily in savory dishes. In 1893, an importer claimed the tomato as a fruit in order to avoid vegetable import tariffs imposed by the United States. This dispute led to the Supreme Court ruling for taxation purposes that the tomato be classified as a vegetable since it was primarily consumed in the manner of a vegetable rather than a fruit, which was usually used in desserts. Other botanical fruits classified as vegetables include squash, cucumbers, green beans, corn kernels, eggplants, and peppers. Tomatoes are generally accepted as vegetables for another reason. They are not sweet. Other fruit that is generally accepted as vegetables include zucchini, cucumber, avocado, bell peppers, pumpkin and butternut squash. There's a general assumption that all fruit are sweet and all vegetables are not. Call it fruit bias, but not all fruit is or should be sweet. Some vegetables that are sweet include sweet potatoes, peas, carrots, and rutabagas. Tomatoes have been shown to improve heart health. Eating a diet that includes fresh tomatoes is shown to lower total cholesterol, LDL cholesterol, and triglycerides, which lowers the risk of heart disease. 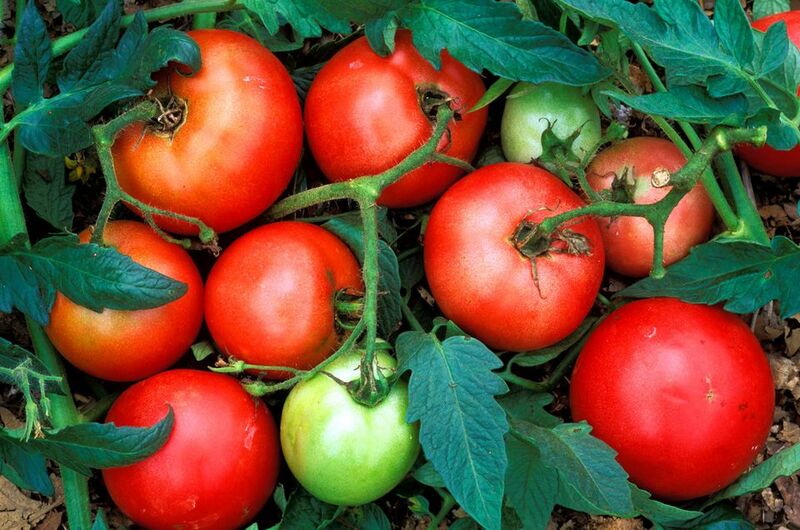 Their deep red color owes itself to lycopene, an outstanding antioxidant. Lycopene is said to help inhibits the activity of osteoclasts, which is responsible for bone loss. Lycopene is also indicated for eye health. Research has shown lycopene can prevent or delay the onset of cataracts. There are hundreds of tomato varieties. Tomatoes are grown for both fresh consumption and for processing, such as to make tomato paste. Tomatoes are easy to cultivate in the U.S. Fresh-market tomatoes are produced in every state with the most acreage in California and Florida. The most popular tomatoes in the U.S. are hothouse tomatoes, grape tomatoes, and heirloom varieties. Tomatoes have been on the rise in terms of consumption over the last decade. The increasing popularity of salads, salad bars in restaurants and the consumption of subs and BLT sandwiches will continue this trend.